Putting your chicks outside for the first time is both exciting and nerve-wracking, especially if you have never done this before. Usually by six to eight weeks their body will be covered with feathers. If the weather is nice during the day and above freezing at night, if they have feathers covering their body, if they are in an enclosed place that is safe from roaming hawks, foxes or other predators–they will be fine! One of the first questions I often hear is: How can I be sure my chicks will go inside their new coop at night? Or: I can’t get my chicks to go inside the coop at all!! One of my favorite sayings about chickens is “they are creatures of habit until they aren’t.” Chickens do go into their coop at night, but it is not an automatic reaction. They have to have a little training. They have been inside in a box or other contained area that has been their home their entire life. Think of it from their perspective: Suddenly their entire world has changed, the habits they had developed of eating and drinking in one space are now completely useless in a new place. They don’t know where they are supposed to sleep! But its not really complicated to change those habits. You just have to give the young birds a little help and they will adapt very quickly. For the first two to three days, I usually start new chicks out by keeping them inside the coop (with food and water inside, of course). This gives them a chance to bond with their coop and help them understand that this is home base no matter how far they wander during the day. Resist the temptation to let them out, but do check on them and make sure they have food and water at all times. After three days, let them out late in the afternoon when there are only a few hours of sunlight left and keep the food and water inside the coop for right now. They will be a little nervous at this new development, but will most likely welcome the chance to get outside. You may want to come back as the sun goes down to check on them and make sure they are going back into the coop. Most of the time, they will. I’ve had some years in which my chicks just can’t figure it out, and here’s what I do in that case: I’ll take a camping lantern or a flashlight lying on its side, turn it on and leave it inside the coop as it gets dark outside. The birds usually flock to the light. Once everyone is in the coop, I take the light out and shut the coop door. I usually don’t have to do this more than one or two nights and by then everyone has figured out what to do. 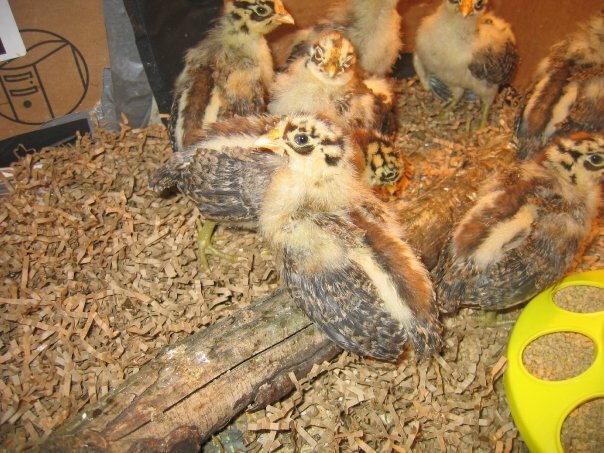 In some cases, if the entire group of chicks can’t figure out where home base is, I simply lock them back in the coop for another two or three days and that always does the trick. Remember, they will get this figured out eventually! One thing I have not found to be very successful is chasing down each of the young birds and putting them back in the coop one by one. If you do that, most of the time they have not learned to go into the coop by themselves and you might be spending a lot of time chasing down young birds who think the correct thing to do is wait for someone to put them away every night! Some breeds are more prone to want to roost outside at night. I once had two Ameraucana hens who spent every night one summer perching on the handles of my chicken tractor every night. I am sure they would loved to spend the night outside, but I knew they most likely would get eaten by a predator. So every night I picked each one up and put them back inside the coop before locking up. But their behavior changed as fall came around and we had a few nights of really cold rain. That seemed to break that habit and they began to get in the coop with the rest of the birds. But each breed has different personality characteristics, and you’ll find this comes true in many things, such as how easily (or not) you can train them to go into the coop each night.